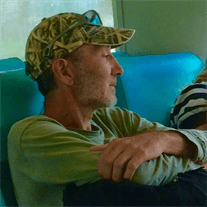 Mr. Jackson "Jackie" Vendall Thomas: Obituary | Cherokee Co N.C.
Jackson “Jackie” Vendall Thomas, age 49 of Murphy, passed away Monday, March 13, 2017, at his home. Jackie was born July 10, 1967, in Copperhill, TN to the late Vendall J.C. Thomas and Juanita Hampton Thomas. He enjoyed hunting, fishing, gardening, and working in the yard. Survivors include mother, Juanita Hampton Thomas James, sisters, Tania Kim Heavener, Tracie Michelle Thomas, Tricia Janielle Tanner, brothers, Michael Dwayne Thomas, Christopher Michael James, Nieces & Nephews also survive. Services: Friday, March 17, 2017, at 2:00 pm at the Cochran Funeral Home Chapel with the Rev. Warren Golden officiating. The family will receive friends at the Cochran Funeral Home in Murphy, Friday, March 17, 2017, 1:00 pm – 2:00 pm.